One of the most important things I’ve learned when visiting French Polynesia, is that all the 118 islands and atolls islands have a different character and atmosphere. 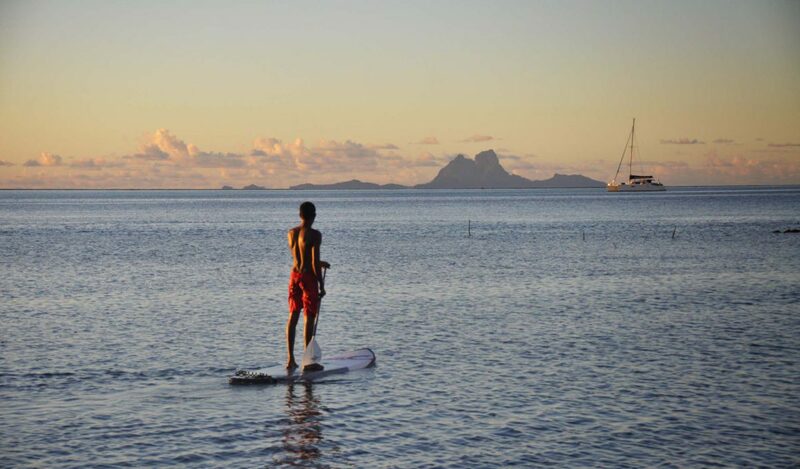 While Bora Bora and Moorea are famous for being chic and elegant and Tahiti stands out as the major centre of the islands, then Raiatea is a wonderful and secret find: not as famous as the other islands, but definitely magical and absolutely worth putting on your bucket list. Although Raiatea is one of the largest islands in French Polynesia (second to Tahiti) and its beauty is stunning, the island is not that famous with tourists. There are no sandy beaches and the atmosphere is quiet and relaxed. Yet there’s plenty to discover and to do. And some of the highlights certainly surprised me. We had a full day touring the island, and our first stop was the Taputapuatea marae, an archaeological site dating back to 1000 AD. The ancient Polynesians believed the marae was a sacred place where they could communicate with the gods. Kings and priest would gather here for important tribal meetings, ceremonies and yes, even human sacrifices. It used to be a mythical place and even today the place feels special and intense. 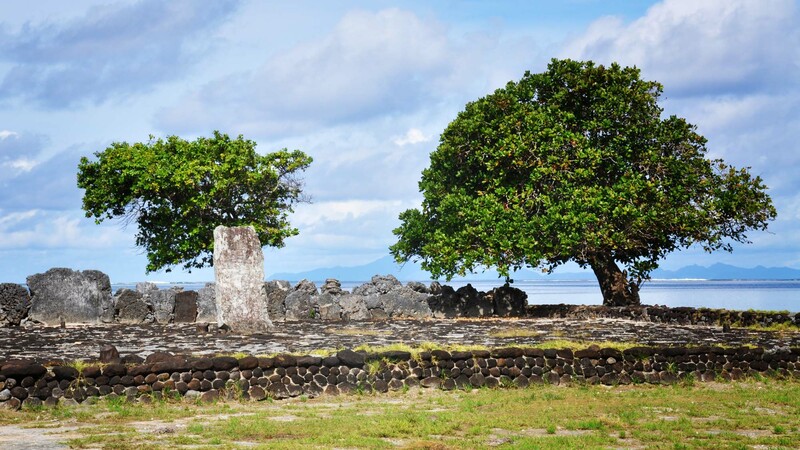 It’s easy to understand why Raiatea was once the most sacred island in the South Pacific. The setting of course is wonderful (view over the lagoon) and the site is well-preserved; with a bit of imagination you’re traveling right back into time. 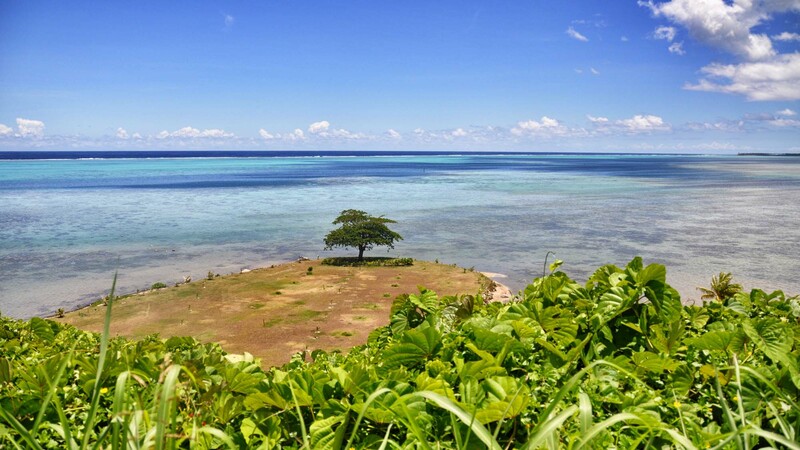 Raiatea may be quiet and unknown today, it has significant historical meaning as it’s the island from which all of eastern Polynesia was colonized. Legend goes that Hiro, Raiateas first king, built a great canoe to reach other Polynesian islands. 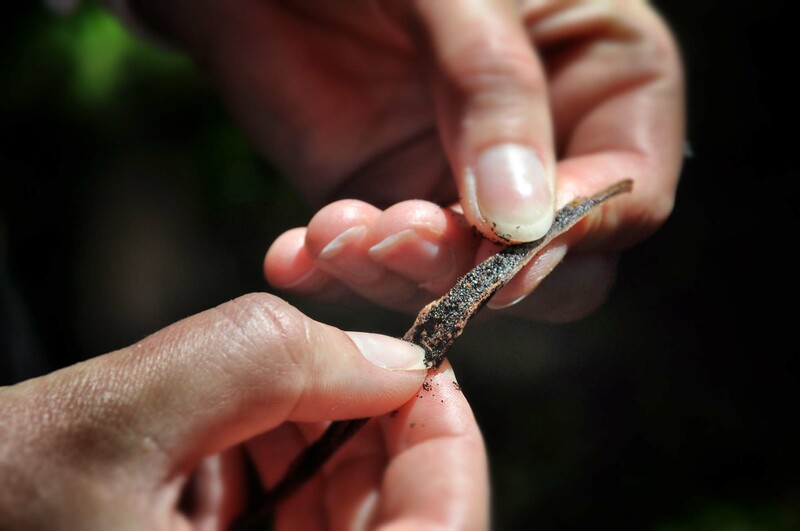 Tahiti is known for its vanilla and of course a visit to a vanilla plantation was on the agenda. 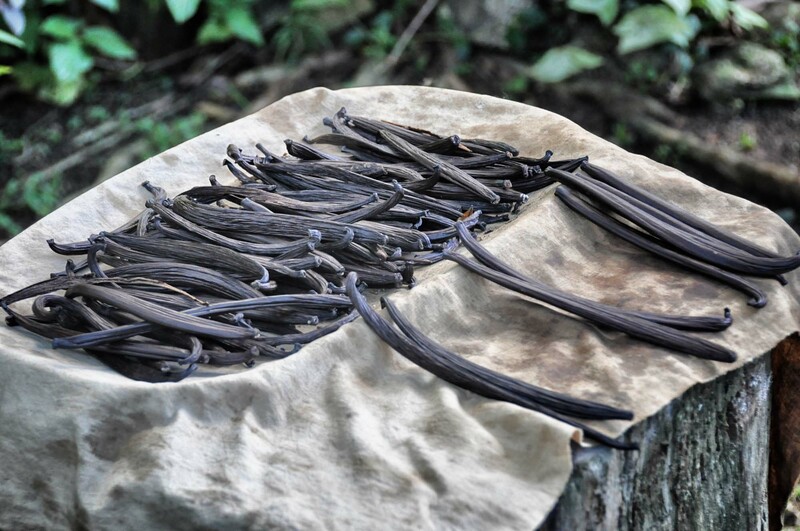 If you’re into cooking and looking for fist quality vanilla to impress your future dinner guest with, you’ve struck gold with the vanilla Grand Cru Raiatea. Uturoa is Raiatea’s ‘biggest’ town. Don’t expect big fashion stores and designer boutiques, but hey, sometimes a girl has to shop, even on French Polynesian island. Rue Central has a some nice little stores – we bought some lovely authentic pareo’s – while fresh fruit and vegetables can be found at the local market, the Marché Municipale. New restaurants and shops are located at the Gare Maritime, built to entertain cruise ship passengers (only interesting when there’s actually a cruise ship present). 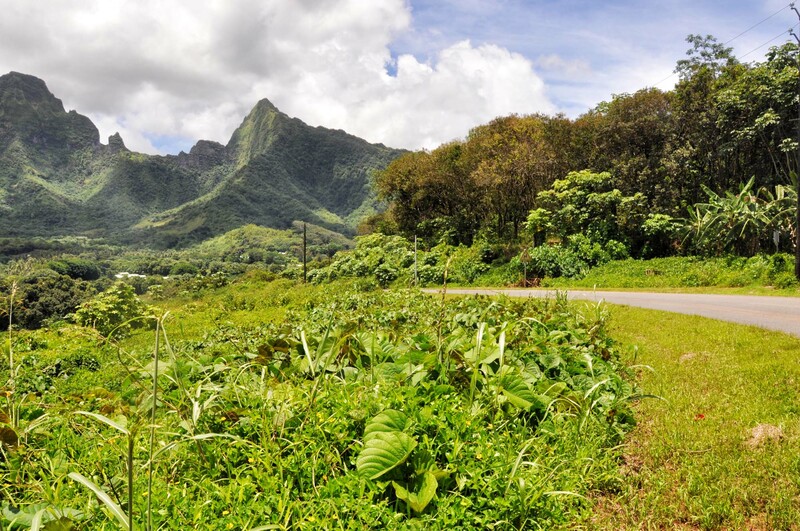 Think of Raiatea as a landscape filled with waterfalls, green hills and fertile valleys, beautiful little bays and of Mount Temehani, the highest point of the island. If you want to dive into the green you can go hiking, horseback riding or go on an 4×4 excursion. When hiking on the slopes of Mt. Temehani you might run into the mythical Tiare Apetahi, the rare flower that only wants to grow on this mountain, despite all the efforts of botanists, it just won’t grow on any other place on earth. Legend goes the flower is the symbol of a broken heart: a young Tahitian girl fell in love with the son of a king. She could never marry him and died of a broken heart. The five petals of the flower symbolizes her hand. If you climb the mountain at dawn you can hear how the flowers opens with a slight crackling sound: the sound of a heart breaking. 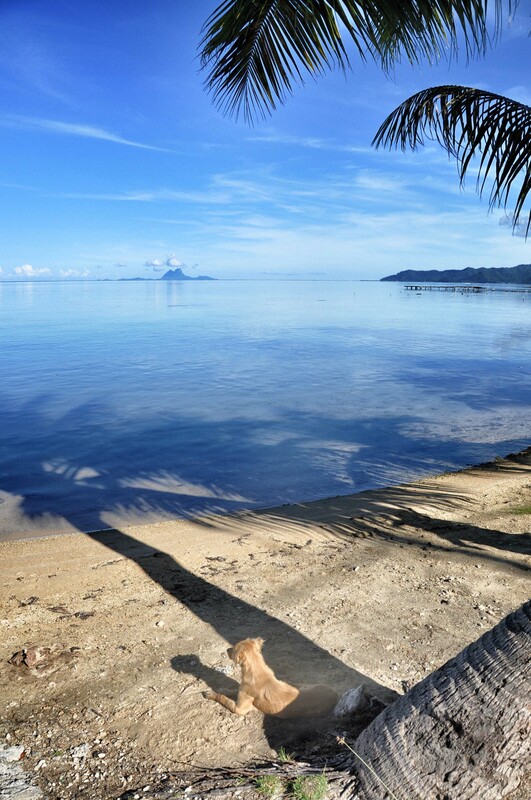 No need to search for sandy beaches on Raiatea: there aren’t any. But no worries: the lagoon is dotted with idyllic motus and islets for that perfect day at the beach. Don’t forget your snorkelling goggles! 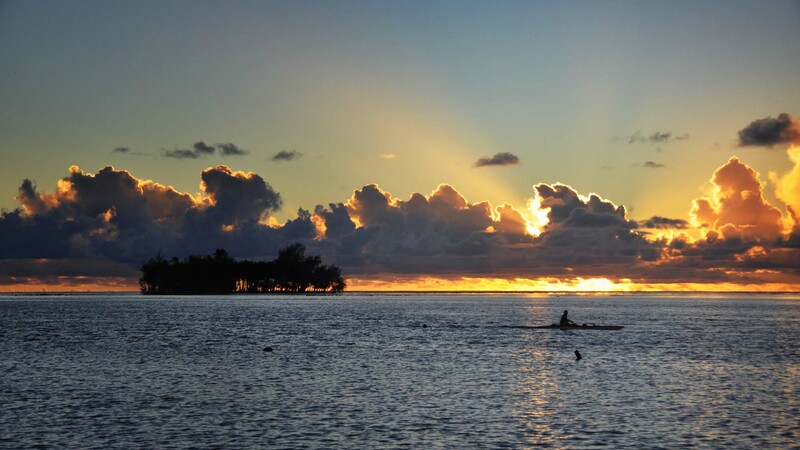 Tip: The Faaroa River is the only navigable river in French Polynesia. 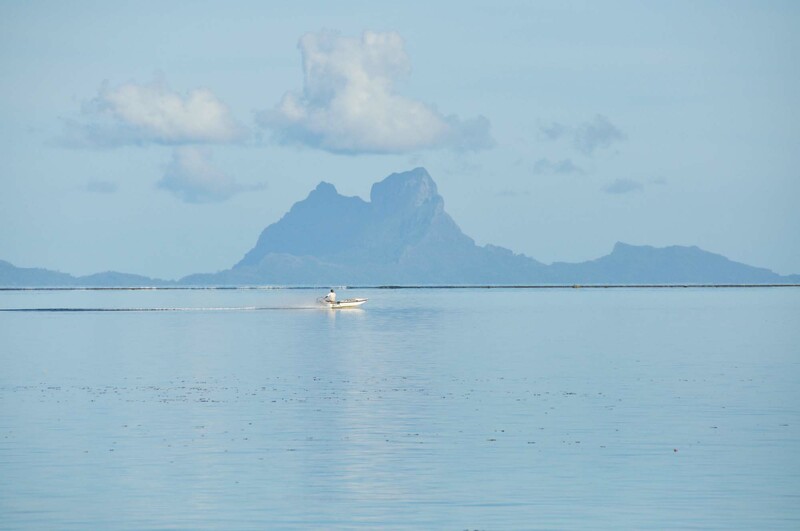 The Faaroa curls straight into Raiatea’s rainforest and can be explored by canoe, kayak or motorboat. 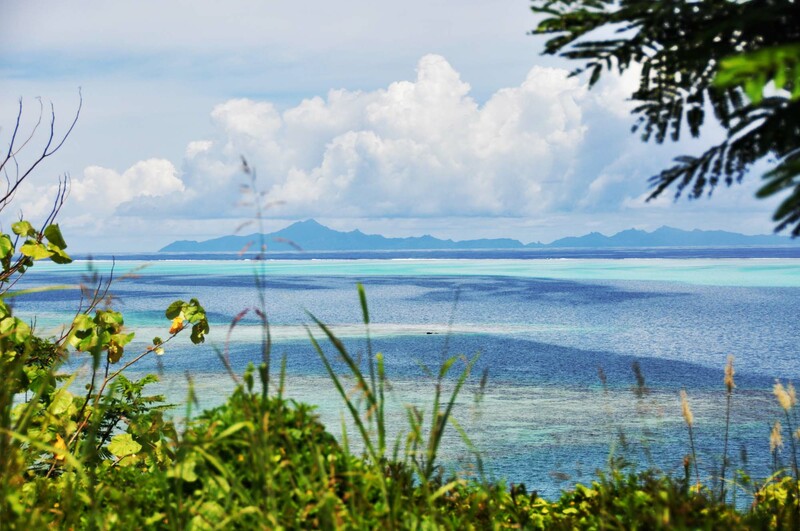 Nature puts on a great show in Raiatea – and the whole of French Polynesia – and I can’t count the times I’ve just sat down to enjoy the incredible beauty that surrounded me. The amazing views on other islands in the distance, the unbelievable shades of blue of the lagoon, the sounds of nature, the smell of the flowers…it’s a show to enjoy with all your senses. I’ve tried to capture the beauty of Raiatea in pictures, but to be honest: they don’t do reality justice. Still, here are some pictures of random places that took my breath away. Air Tahiti servers Raiatea frequently, it takes about a 40-minutes flight from Papeete and Moorea. 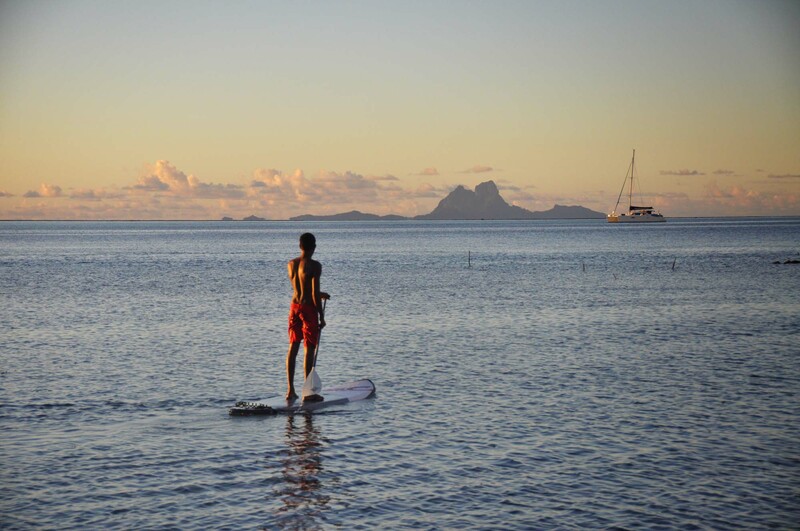 Flights from the nearby islands Huahine and Bora Bora take only 15 minutes. 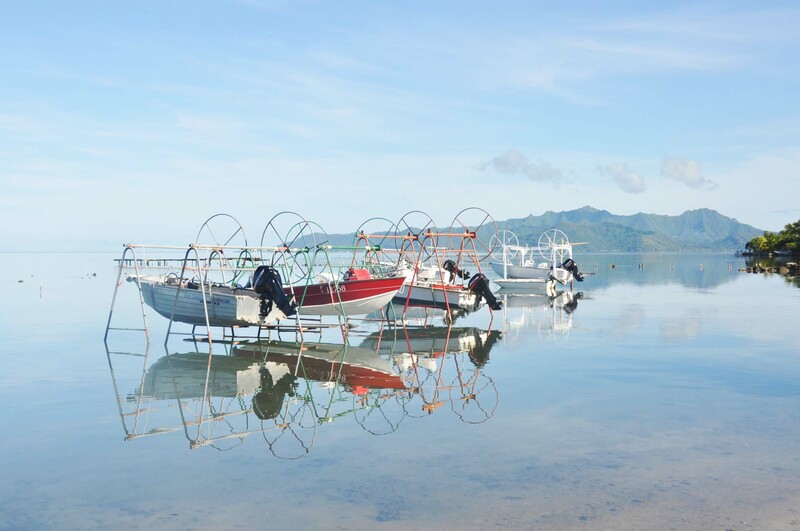 A shuttle boat operates between Raiatea and its sister island Ta’haa, twice a day during working days. Wow, Nina! Your fantastic photos bring back fond memories and make us want to get up and go back. Right now! 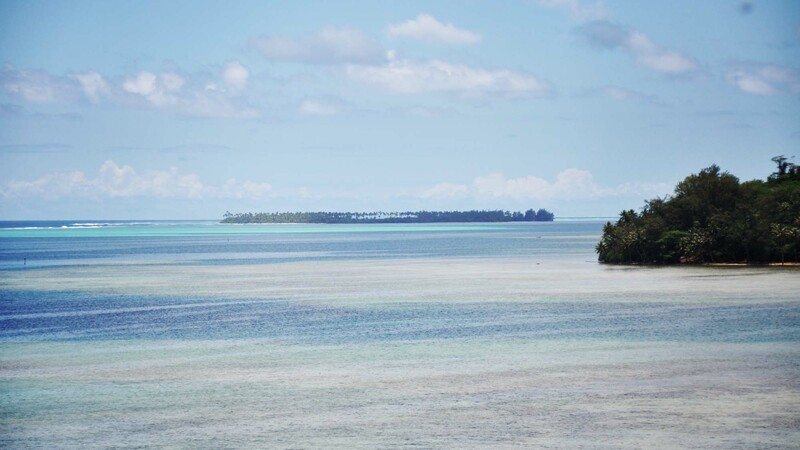 Raiatea looks stunning and honesty, until reading this post, I had not even heard of it. I think it’s great to learn about some of these smaller French Polynesian islands, as the only ones I have heard about before were Bora Bora/Tahiti and the bigger ones etc. The scenery is beautiful – I had no idea there were so many hills and mountains there! This looks amazing! I’m hoping to visit French Polynesia next year and I’m finding it hard to decide what islands to add to my intinerary (luxury problems, I know ;). This post and your amazing photos make deciding even harder! Nina, I absolutely love your site and the way your images not only display but capture the essence of place. You are truly talented! Thank you Jenn, you’re too kind. 🙂 I try to do the best I can (especially my English needs to grow better! ), you give me too much credit!